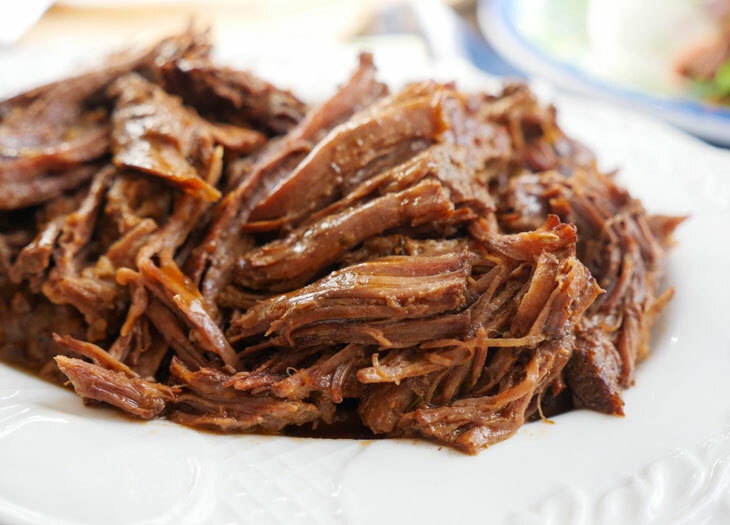 Get ready to eat the most tender and delicious shredded beef you’ve ever had! 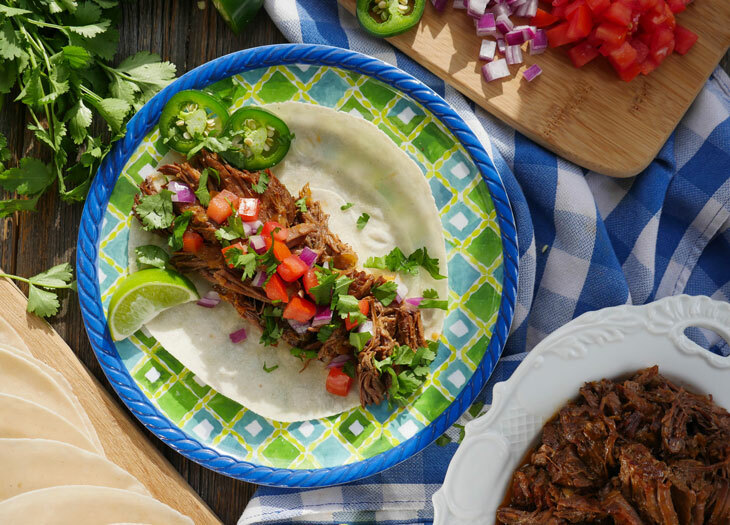 This homemade beef barbacoa is better than any restaurant barbacoa. The best part about it is that it’s so flavorful and easy to make! 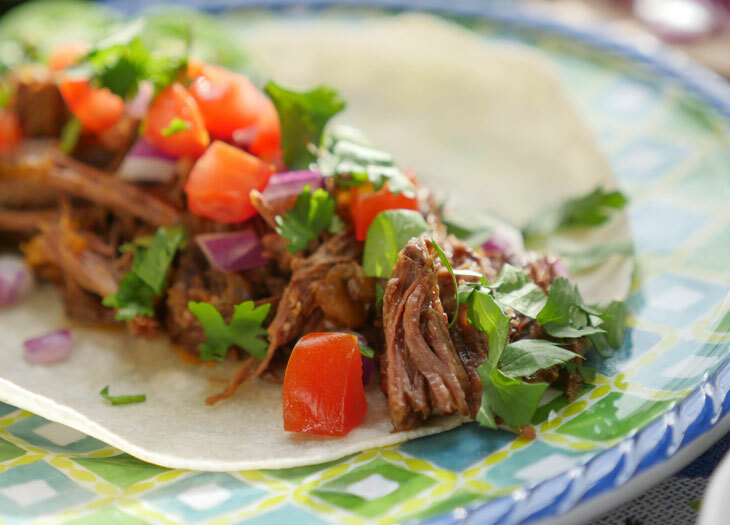 This tender and juicy homemade beef barbacoa is perfectly seasoned, can be used in so many different ways and couldn’t be easier to make. It requires minimal hands-on time, which is perfect for this busy mama. Yes, you can definitely make this in a slow cooker but I prefer using my instant pot because it cooks this dish in a fraction of the time. 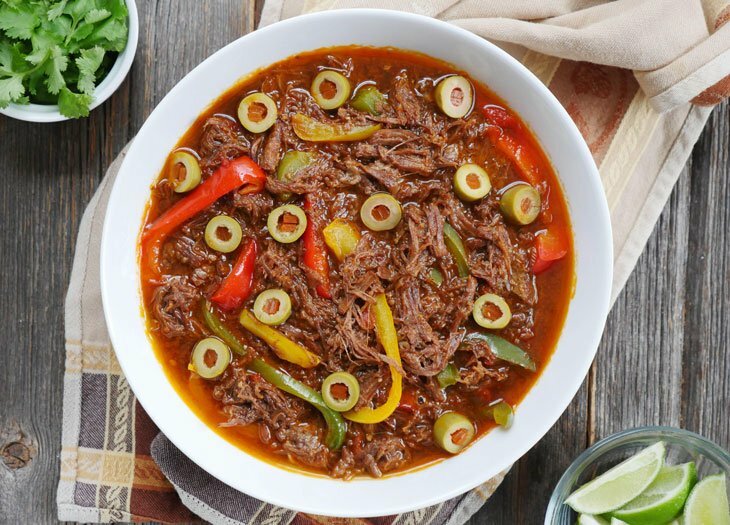 This cumin and chipotle spiced shredded beef is loaded with flavor and braised in the most delicious sauce. Chipotle’s barbacoa has nothing on this meat. Not only is my homemade recipe so much better, it’s also so much cheaper than going to Chipotle! Even if you use the best grassfed beef in town (looking at you, pittsburgher highland farm!) and invest in a bunch of organic spices, you are still going to save so much money because this dish makes so. much. meat. You’ll know exactly what’s going into your food, you’ll be eating healthier AND saving money. So really, this dish is a win all around. Oh and did I mention, there are a million different ways to eat this meat? My favorite way: wrapped up in a warm tortilla and served Mexican street taco style with diced onion, cilantro and a bit of lime juice squeezed over top. I also like to add diced tomatoes for a little extra flavor and pop of color. There’s no need for cheese or salsa as the meat is already so flavorful. I’ll never say no to guac though. Gimme all the guac please. SO MANY DIFFERENT WAYS. PUT IT IN ALL THE THINGS! Barbacoa also freezes really well so feel free to save any extra beef for a rainy day. I store the meat in its juices to help keep it flavorful and moist. Typically, barbacoa recipes call for “chipotles in adobo sauce” but there are usually some questionable ingredients in those little jars. Instead, my recipe calls for chipotle powder which is made up of ground chipotle peppers (smoked red jalapenos). I think that using this powder gives my barbacoa an extra chipotle punch. That combined with other spices like cumin, oregano and smoked paprika – takes it to another level of deliciousness. If you’re planning a big get together, this is also a great recipe to make and serve. 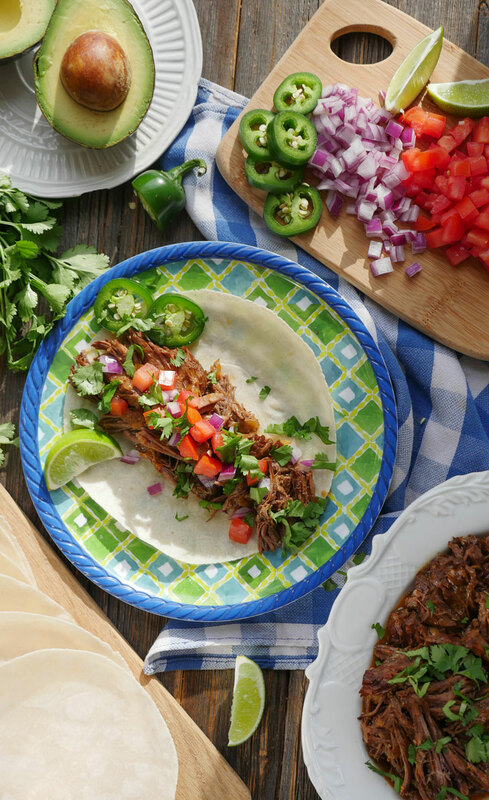 Have your guests assemble their own tacos! So easy. In fact, I think I’m going to do this the next time we throw a casual dinner party or have friends come visit. Everyone loves tacos! Taco party, woo! For now, I’m going to have a taco party all by myself. The only kind of party I don’t mind going to alone because… more tacos for me! Serve with: diced onions, cilantro, lime wedges, guacamole, etc. Press the sauté button, add the oil and once it gets hot, add the beef to the pot and brown all sides. While the beef is browning, add the broth, lime juice, tomato paste and vinegar to a bowl and mix well, until the tomato paste has mixed in with the liquid. Pour this liquid, along with the remaining ingredients into the pot. Secure the lid, close the pressure valve and cook for 60 minutes at high pressure. Store the meat in juices to retain moisture. If you’d like, you can reduce the sauce and serve it with the meat. Remove the bay leaf and serve with diced onion, cilantro, lime wedges and/or guacamole. Add all of the ingredients to a slow cooker (no need to sear the beef, you can broil it afterwards if desired). Remove the lid and use two forks to shred the beef. Store the meat in juices to retain moisture (if you’d like, you can reduce the sauce over the stovetop and serve it with the meat). Serve with onion, cilantro, lime wedges and/or guacamole. If you do not cut the meat into 2-3 pieces, it will take longer to cook. Cook until you can easily shred the meat. Hi Ashley! This sounds like a very flavorful dish! Would it work with chicken? Maneesha, so funny you ask! 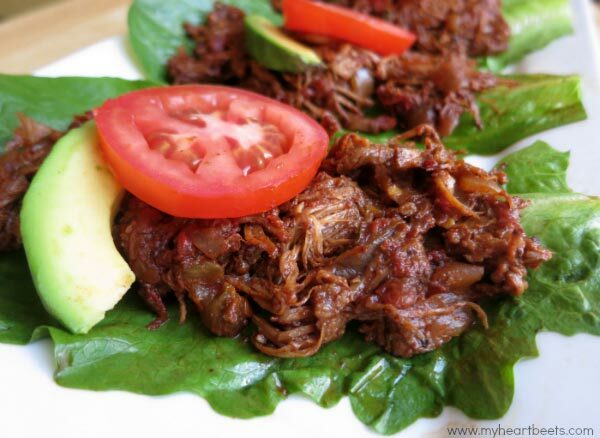 I have chicken barbacoa on my list of things to make. I have a feeling it’ll work well with chicken thighs but with a reduced cook time – maybe 10 minutes. If you try this before me, please let me know what you think! Haha too funny! I’ll try out the chicken barbacoa and definitely let you know how it turns out! Definitely will duplicate this recipe again for tacos, burritos, and enchiladas ! My husband loved this!! Thanks for the recipe as always! I wish I could give this 4.5 stars! The only reason it’s not 5 stars to me is it’s too salty. It has FABULOUS flavor, just a little too much salt. I am cutting it down in half for the second batch I am making and I think it will be perfect! My husband was just looking for another Mexican recipe for me to make for dinner and he LOVES this! Thank you! Can’t wait to try some of your other recipes! Glad to hear you like it! And with all of my recipes, please feel free to adjust salt (and also cayenne for future recipes that you try) to taste! 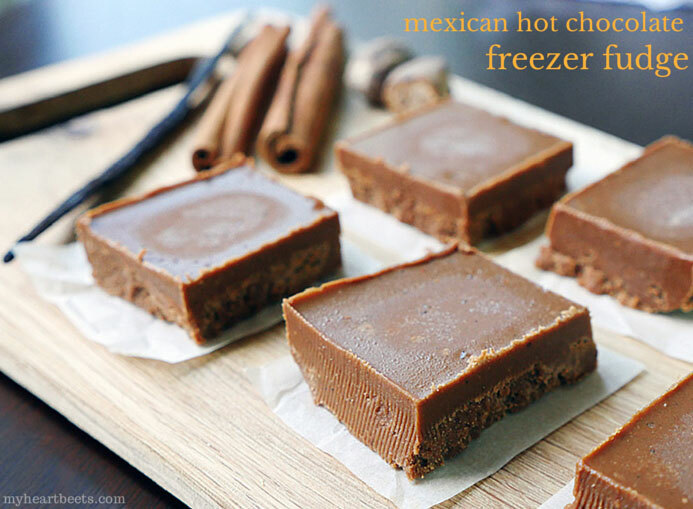 I just made this recipe last night and it is amazing! I was amazed at how tender and flavorful the meat was! Although I really shouldn’t be surprised, because all the recipes of yours that I’ve made have been good! I made some cassava flour tortillas to go with this and it was perfect! OMG! This is the very first thing I’ve ever made in an Instant Pot! We couldn’t stop raving about it. I mistakenly bought hot tomato sauce somehow, but it was amazing in it and I’ll use it again next time. Thanks for such a wonderful recipe! Cristy, so happy to hear that! Glad you liked it 🙂 I will have to look for hot tomato sauce and try that sometime!